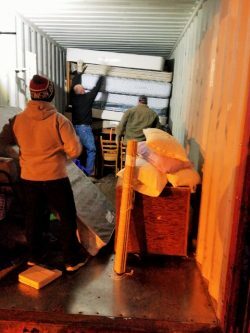 Deacon Paul Umentum just returned from two weeks in the Dominican Republic and even through he did not actually see the container but was informed that it did arrive safely and is being unloaded. 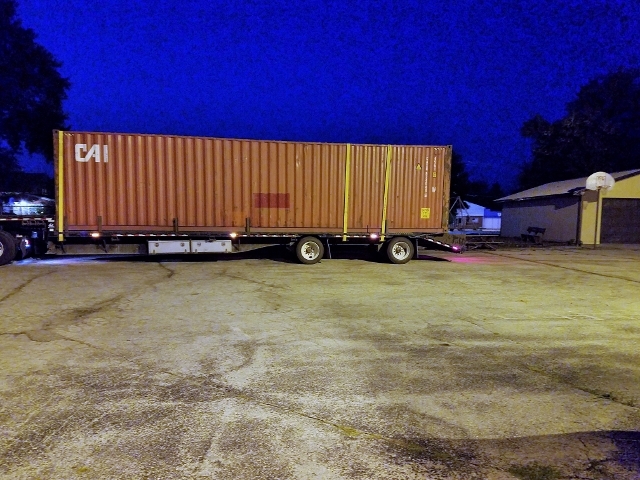 A container weighing 8,510 lbs. measuring 40 ft. long by 8 ft. wide and 9.5 ft. high appeared in the school parking lot on 8/23/2018. 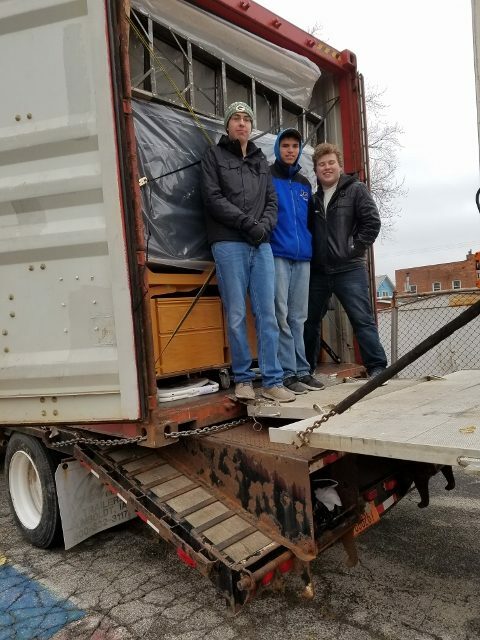 Andrew Webster took on a project to fill this container with a multitude of items needed in the Dominican Republic in an effort to obtain an Eagle Scout Badge. At first it seemed like an impossible task to fill this large a container but ever imaginable item, such as beds, dishes, cooking utensils, furniture, etc. just keep on coming. Every item needed to be weighed and tagged. It was a real challenge to pack it efficiently. Every nook and cranny was filled. Total weight at the end was 34,810 lbs. 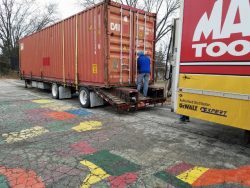 On 1/16/2019 the container began its journey to the Dominican Republic. 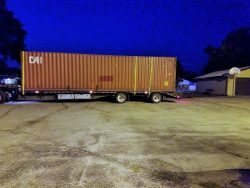 Our Deacon Paul Umentum hopes to meet up with the container when he arrives in Eias Pina DR on 2/15/2019. 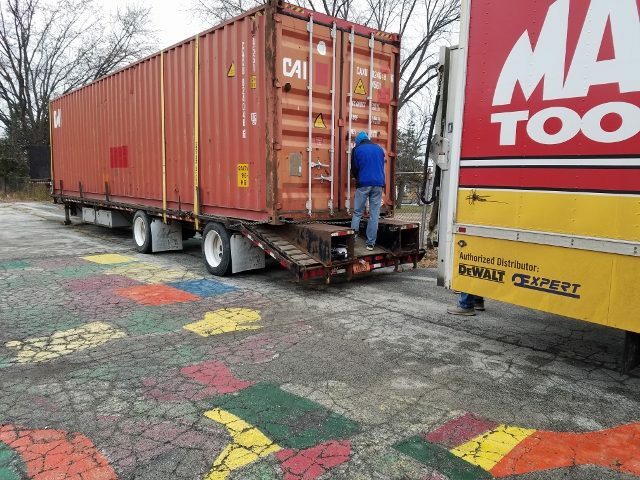 UPDATE: The container’s journey took it to Appleton to be weighed, sent to Chicago where it was then shipped to the Dominican Republic. After landing, it was taken to San Juan where the retreat center is located. 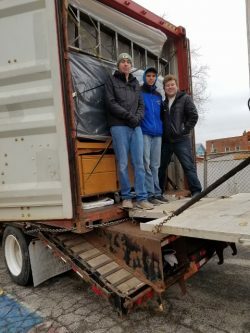 A BIG THANK YOU to every one who participated in this adventure, either by donating items or in helping to fill the container. A WELL DONE to Andrew Webster who selected this as a project to earn his eagle scout award.